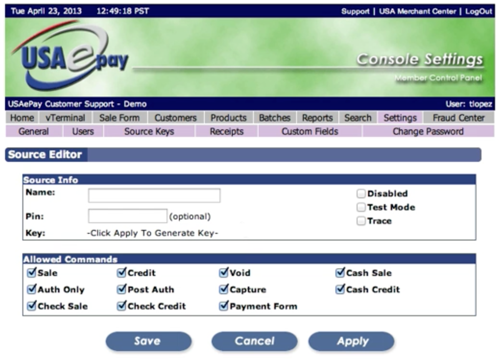 USA ePay is a US-based payment gateway that integrates easily with ONTRAPORT, allowing you to process payments. Click Source Keys from the sub menu. Click the Add Source button. 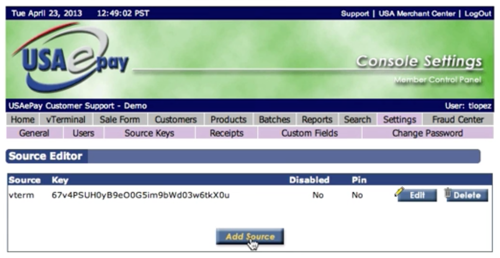 In the name field, enter a name that reflects where the key will be used such as ONTRAPORT. In the pin field, enter a 4 digit pin. In the key section, click to generate a key. Copy the key to a notepad for use in ONTRAPORT. 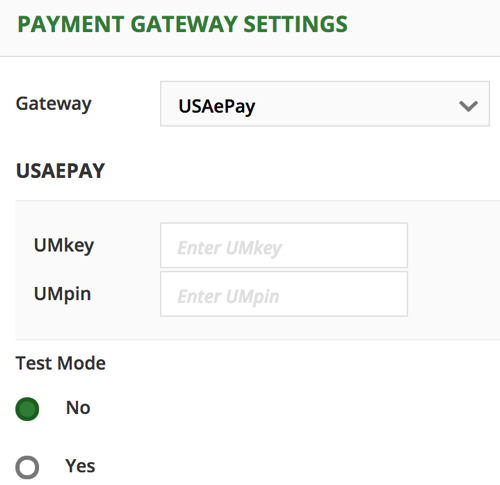 Now you're ready to connect USA ePay to ONTRAPORT. Go to Sales > Settings > Gateways. Click on the New Gateway button.